South Korea’s exports soared 22.2 percent in January from a year earlier on brisk sales of memory chips and petrochemical products, government data showed Thursday. 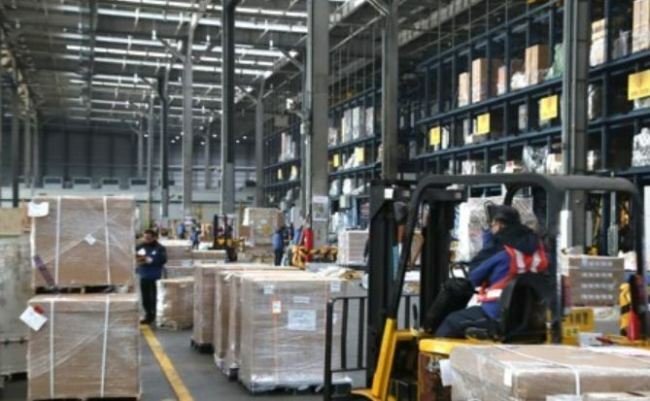 Outbound shipments came to $49.21 billion for January, up from $40.25 billion a year earlier, according to the data compiled by the Ministry of Trade, Industry and Energy. Exports rose for the 15th month in a row, posting double-digit growth for the first time in four months. Imports also jumped 20.9 percent on-year to $45.48 billion last month. South Korea’s trade surplus came to $3.7 billion, marking 72 straight months in which the country’s exports have exceeded imports, the ministry said. Exports grew at a brisk pace despite a high base effect last year, when South Korea’s exports reached an all-time high of US$574 billion fueled by an upturn in global demand. Demand for memory chips for computer servers and smartphones remained strong following a so-called “super cycle” last year, while rising oil prices boosted sales of petrochemical products and increased cracking margins. General machinery cashed in from the rising infrastructure investment in the US and China, as well as from resource development projects in Southeast Asian nations. Exports to the US climbed 4.8 percent last month, swinging back to growth from December’s 7.7 percent fall, as an upturn in demand for general machinery and petrochemical products offset sluggish auto sales. The trade surplus with the US, however, tumbled 67 percent on-year to $320 million in January as South Korea expanded purchases of semiconductor manufacturing equipment, natural gas and oil. The ministry expected a favorable trade environment this year in line with the global economic recovery, but cautioned over rising protectionism in major trading partners, including China and the US, a strengthening Korean won and potential interest rate hikes in major economies.